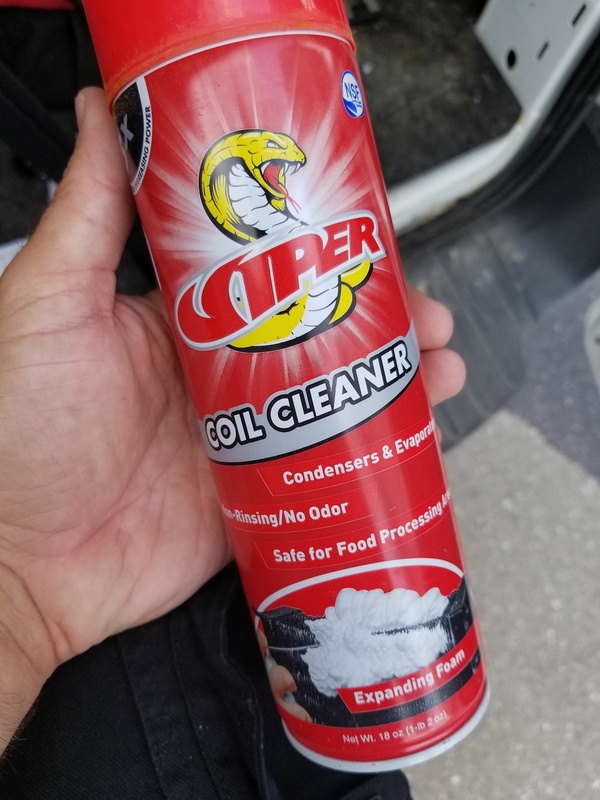 If you haven't tried Viper Coil Cleaner yet, you're missing out...plain and simple. 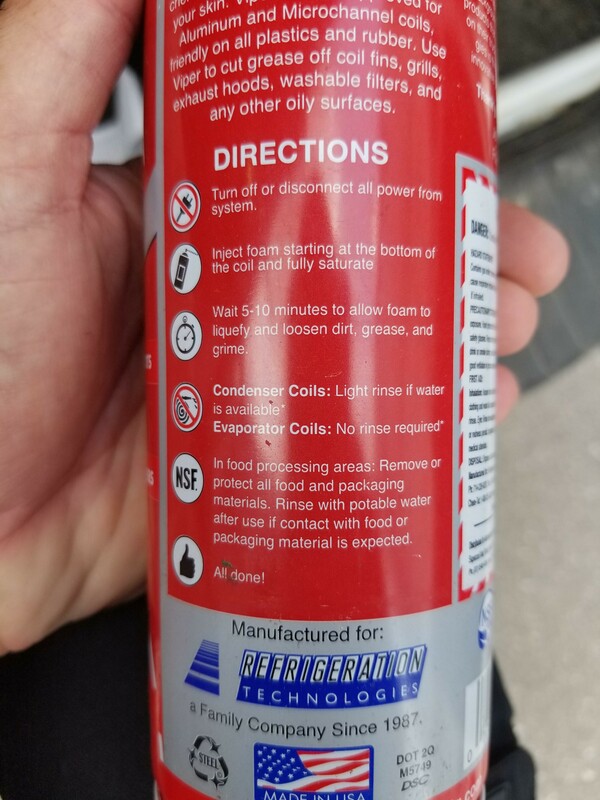 It's an expanding foam coil cleaner, that is applied directly from an aerosol can for ease of use. It leaves the can at high pressure which will ensure deep coil penetration. The expanding foam draws dirt/debris from within the coil for maximum cleaning power. The no rinse, no odour condenser and evaporator cleaner is safe for food processing areas which makes this degreasing spray great for kitchen equipment. Viper Coil Cleaner will not burn your skin, and does not contain toxic fumes. See below image for product instructions. Check out the job site video below to watch Viper Coil Cleaner in action. Save 8% on your purchase of Viper Coil Cleaner at TruTechTools with promo code "knowitall", get those coils cleaned. Happy HVACing!